Recently I’ve had the chance to try something that i’ve always wanted to — the digital nomad lifestyle. One of many attractive aspects of working remotely is being able to live somewhere cheaper when you’re on a budget or simply want to save more of your income. A cheaper working environment was essential for me whilst working on a project without any income. This is a small review that offers a few tips with a break down of my living costs whilst spending 1 month in Ho Chi Minh (April 2018). This property had a central location, great views and all amenities needed. 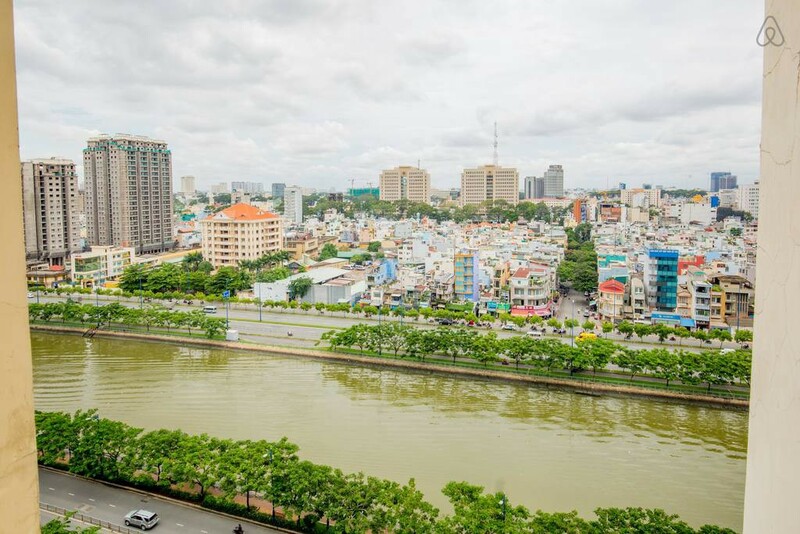 You can find plenty of properties in Ho Chi Minh in the range of £200–£400 PCM depending on your requirements. Tip — Ho Chi Minh has a vast amount of motorbike traffic. Either check about the sound proofing, choose a room in a high building or at least find somewhere slightly outside of district 1. Great location, friendly staff and comfortable environment. Free water, tea, coffee and also most days juices. Most co-working spaces seem to hover around the £60 mark per month around the city. You can also find a lot of coffee shops that would be suitable for working. 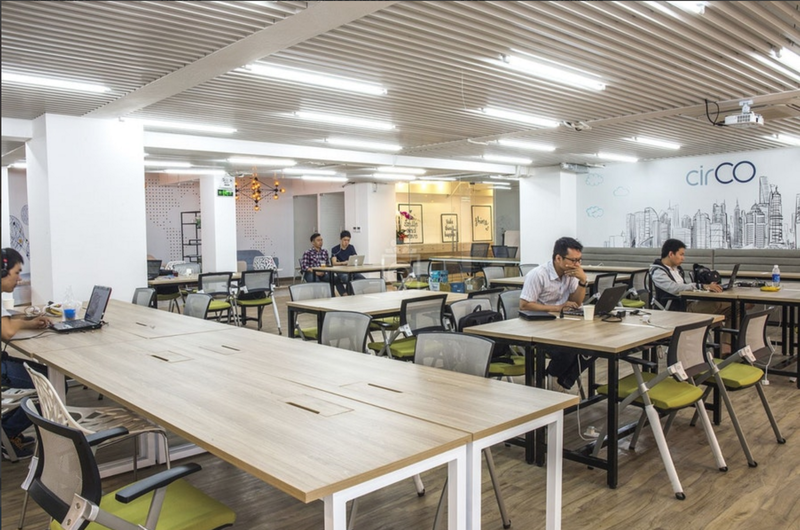 Tip — As you get free water, tea and coffee at the co-working spaces the value for money is exceptional. You would likely have to spend a similar amount of money in coffee shops over the month but would not have the same working hours flexibility or ability to meet other working locals or nomads — I would definitely recommend using a co-working space. Ho Chi Minh had a good selection of street cart food in the ranges from 15,000 to 30,000 dong (£0.5-1). Cheap restaurant food ranged from 30,000 to 60,000 dong (£1–2). For the entirety of my time in Ho Chi Minh I used Grab bikes and the occasional Grab car when I was with someone else. The rides were cheap and quick. A short Grab bike trip can cost anywhere from around £0.35 to £1. A medium trip from district to district may be anywhere from £1–2 on a Grab bike. Most my trips cost around £0.50 as I was quite central. Tip — The drivers have a habit of phoning you up to check your location. Make sure you get the right pick up location, ideally typed in. Tip — Grab generally offer a discount when you use GrabPay, you just need to top up from a card rather than use your card directly. You often save around 20–30% which adds up! Most tourist sights are around 30,000 to 40,000 dong (£1–1.33) entrance fee. Hair cuts, travel insurance, mobile phone bills — all the other stuff! Friendly culture, tourists don’t make up a vast part of the cities economy so I found there was little to no tourist traps, scams or overpriced items. The English was good in the co-working space I visited. It can be more tricky with street food and some shops — though ultimately I didn’t find this was an issue. Overall you could definitely live here much cheaper if you needed it to be — I chose to live on the cheap side but comfortably. If you stayed for a longer period of time then expect prices to be even cheaper if you were to use short let accommodation. Feel free to add any tips of your own or ask any questions.